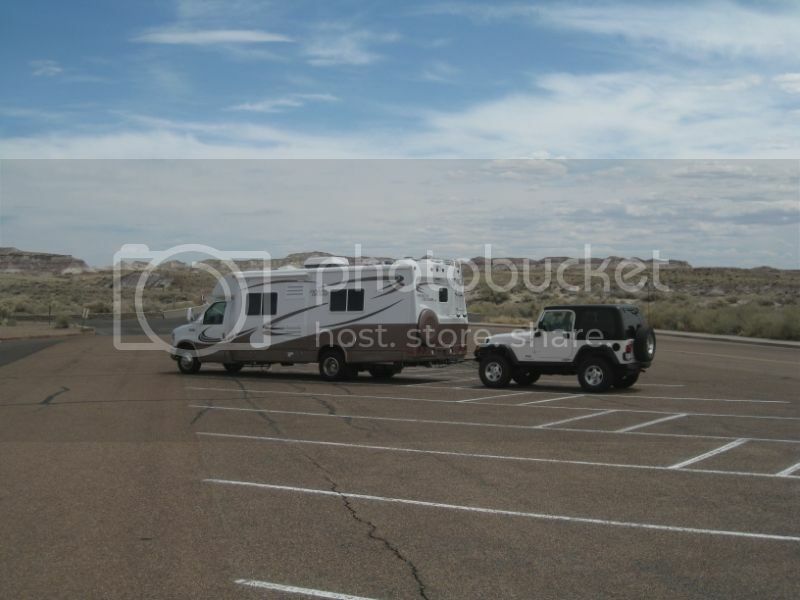 I agree, a Jeep Wrangler is certainly not for everyone; however, we have a 2003, bought new and towed about 40,000 miles - 25,000 behind the PC. We live in the Sierra Nevada in northern California and have access to great off road trails. I have a car lift in my garage and have modified the Jeep for better off road use (an ongoing project), but not too extreme so that it still tows great and drives the highways reasonably comfortably - a compromise. 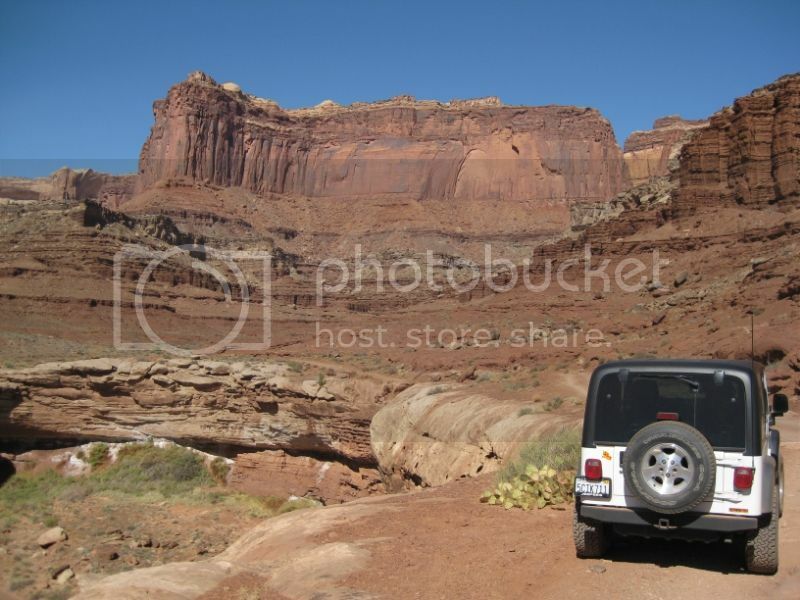 We go to Moab a lot and do some great off road trips in that area as well as search out 4x4 trails wherever we go. That is part of the fun of RVing for us, and we are 66 years old. Having said that, the Wrangler is not the most comfortable for normal highway use and the backseat is really for kids only. We don't even have the back seat in when we travel, more room for gear and we take a lot of recovery gear with us when we take off on the 4x4 trails by ourselves. No, we can't take another couple with us, but we don't travel with anyone else and we prefer to do our own thing. We put the backseat in when the grandkids visit at home, they love going "Jeepin" in the Sierra Nevada. So, for us the Wrangler is the best option, comfortable enough for us on the highway and easy to get around town, but still lets us explore the back country and very easy to tow. Imogene Pass between Ouray and Telluride, CO. The 2006 jeep Liberty CRD (diesel) is at least 300 lbs heavier comapred to the gas V-6. The V M Moturi I-4 is heavy and mid 2005 Jeep strated puting a much larger transmission in the CRD's becuase the torque was to much for the stock transmission so therefore the extra weight compared to ges version. it was my understanding the gas vehicles were around 4000 with the CRD's tipping the scales at 4300. I guess I am the exception....I tow alot but just do not enjoy doing it. Bobander, you are exactly in line with what we are thinking. We want to do some more offroad exploration. We spend most of our rving time boondocking in some really great places and are hikers. At seventy, I would like to explore more and hike less. 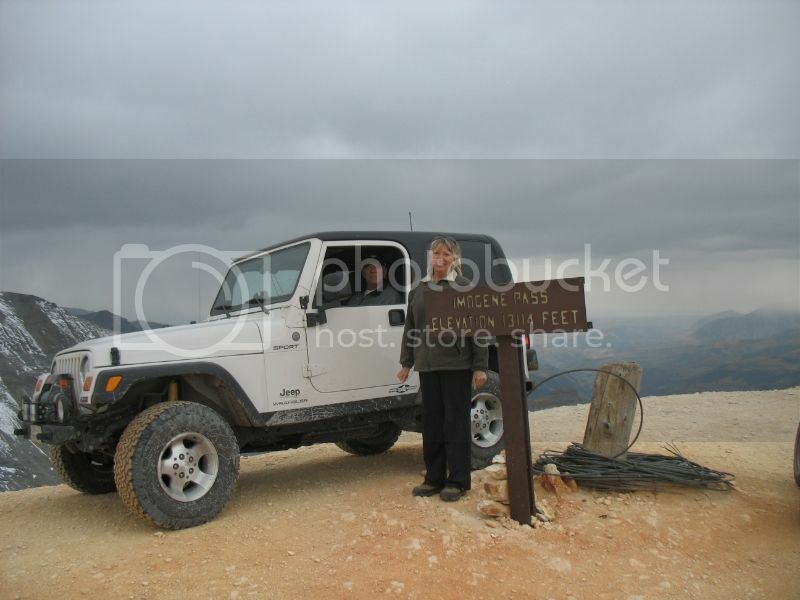 Your picture near Ouray is a perfect example of why we are looking at a Wrangler. Our tent days are over so we might as well ride as hike, at least part of the time. The back seat? Well, that is for gear and Sally Ann the Wonder Dog. Great Pictures Bob. Looks like fun. Not much like that here on the east coast. Like you say, it all depends on what you want to use your Jeep for. That is why they make some many different models. We have both my Grand Cherokee and my wife's Liberty for different reasons. She has started looking at the New 2014 Cherokee and I must say it is some Jeep. I have looked at the Utube on how it performs, even for your kind of off roading. It "might" even be better at it than the wrangler. I just said that because I know how my buddy reacts when I tell him things like that about his baby. For the record....Yahoo Auto lists the curb weight of the 2006 Jeep Liberty Sport 4X4 (gas) with AT at 4,011 lbs, (unlaiden) and the CRD Sport (diesel) at 4,144 lbs (unlaiden). Load both up with fuel, etc and you would push 4500 lbs for sure. I know where your buddy is coming from. When I get into discussions with other Jeepers about what mods they have made and how capable our Jeeps are, I have to be careful not to get caught up in the chest pounding. As you said, there are a lot of models of Jeeps and degrees of aftermarket modifications available, just depend on what you want to do with it. My Jeep is a good compromise for our needs regarding street driveability and trail capability. For me, the Jeep project is a fun hobby, sometimes I have to tell my wife that the next mod is not because we need it, I just want it.